Every day, America's Greatest Generation is passing away while their sacrifices are becoming distant history for younger generations. As we mark the 75th anniversary of D-Day, it is now more important than ever that we remember this generation of brave Americans. An important part of the American Air Museum in Britain's mission is to honor the service and sacrifices of the nearly 30,000 American airmen who gave their lives flying from British bases during World War II. It is the only memorial of its kind outside the U.S. and features the best collection of American military aircraft on public display outside of North America. Historical WWII aircraft like the C-47 Skytrain and P-51 Mustang hang alongside modern aircraft like the SR-71 Blackbird and F-15 Eagle so that visitors can experience the full scope of American aviation history. The American Air Museums' mission becomes more urgent with each day. 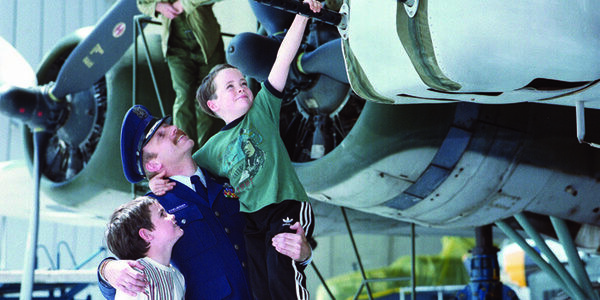 Will you join us to honor our American airmen and preserve their history for future generations? Sign and show your support for the American Air Museum in Britain's mission and honor the service of America's airmen.